Posted on 13 February, 2019 by Federation of Holistic Therapists (FHT). This entry was posted in archive, health, Social prescribing and tagged health, Social prescribing. Bookmark the permalink. It would be great to find out more about the criteria to become a link worker and how to go about it. I can think of a few people who I think would be ideal for this. Perhaps the FHT can keep an eye on this and report back to its members as and when. Yes Beki I totally agree and as a holistic therapist am looking to get into social prescription, to be able to deliver therapies that make a difference to the quality of the individual’s life. 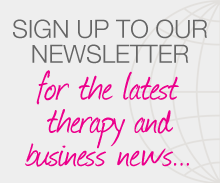 What wonderful news for Complementary Therapists. I am very excited with the social prescription and would be ver interested to learn more. Cant wait for the spring issue of International Therapist. Great news it would be good to learn more about how we – complementary therapists can be part of this scheme towards health & wellbeing improvements. .
Bharti Mistry. MFHT.Awarded Mental Health research 2015. Reblogged this on Healthier UK Therapies.